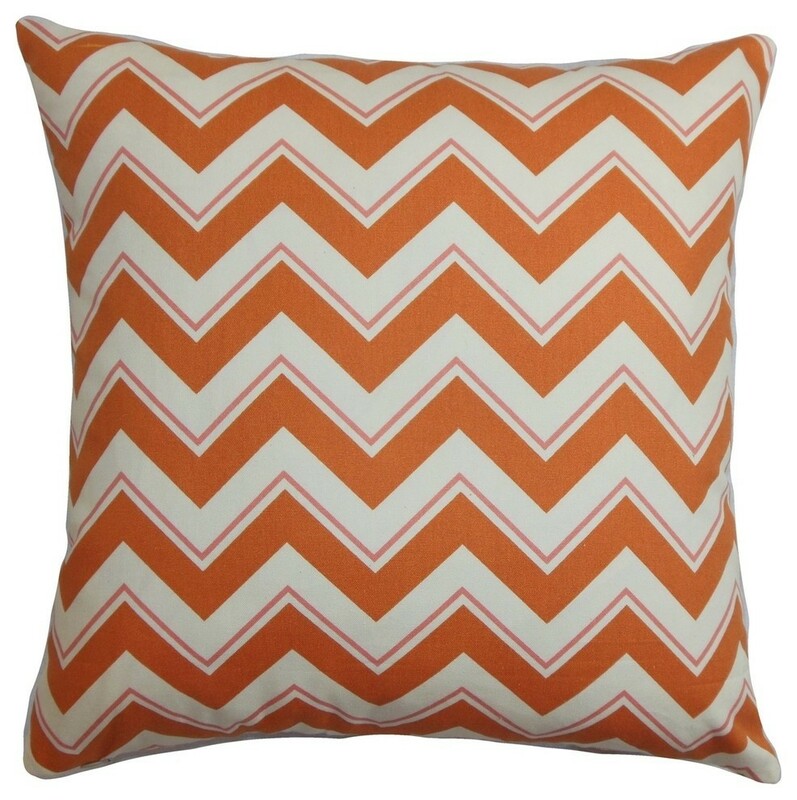 Deion Zigzag Pillow Orange White 18"x18"
Provide a sleek look to your interiors with this modern accent pillow. This square pillow brings a fresh vibe to your living room or bedroom. The bright-hued zigzag pattern features shades of orange and white. Change up the look of your home in an instant with this bold decor pillows. This 18" pillow mixes well with solids and other patterns. Made of 100% plush and high-quality cotton fabric. Hidden zipper closure for easy cover removal. Knife edge finish on all four sides. Reversible pillow with the same fabric on the back side. Spot cleaning suggested.